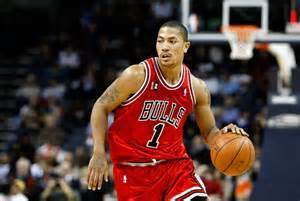 *NBA news: Chicago Bulls star Derrick Rose is again out for the season after undergoing knee surgery. Click here for full story on NBC Sports. This entry was posted in NBA, Uncategorized and tagged basketball, chicago bulls, derrick rose injury 2013, derrick rose knee surgery, google derrick rose, nba. Bookmark the permalink.